Resident Evil 7 Gold Edition hits lowest ever price of only $23.22 thanks to Capcom's Spring Sale at GMG stacking with the limited time 24 hours only extra 12% off coupon code. If you want all the content available for RE7 this is the way to go and it's an enticing price considering it's only about $6 more than Standard Edition. Steam key. The average price for this game in the past 6 months is $25.56. The game first became 50% off on Apr 20, 2018 at Green Man Gaming. Lowest historic price was $23.22 on Apr 20, 2019 at Green Man Gaming. The average price for this game in the past 6 months is $16.87. The game first became 50% off on Aug 8, 2017 at Fanatical. Lowest historic price was $15.44 on Dec 18, 2018 at Green Man Gaming. New low price on Resident Evil 7 for the PC Steam copy. This beats out the price during Steam Store's recent Summer Sale, along with the currently on-going Capcom week sale over at Fanatical. Season Pass is also on sale for $14.47, though if you want either you should just consider Gold Edition for $28. Hot deal. Resident Evil 7 is now only $19 at GamersGate thanks to its aggressive Black Friday weekend sale. This is the new historic low by a good margin (beats out Summer Sale) and is cheaper than anywhere else you can find for Capcom's latest installment to its popular horror series. It's a one off flash deal, but if you want Resident Evil 7 there has not been a cheaper time. It's price at only £17.99 for the next 24 hours at GamesPlanet which, thanks to a favorable currency conversion, is only about $23 in USD. No region restriction. Authorized retailer Steam key. Lowest historic price. It's finally happened. Resident Evil 7 has dropped below the 50% off mark and is under $30. The historic low price is at Bundle Stars after instant savings + stacking coupon. This was a $36 purchase during the Steam Summer Sale, now $29.69. Resident Evil 7 only $0.36 off its all-time historic low as a flash sale in GMG's 2017 Summer Sale. 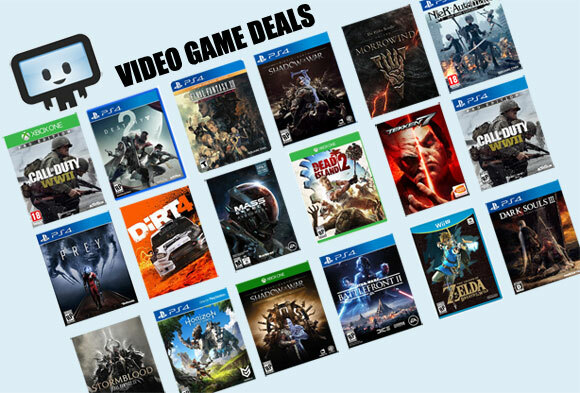 Arguably the best deal ever too since you also get a free random Mystery Game as a bonus. The average price for this game in the past 6 months is $15.98. The game first became 50% off on Jun 14, 2017 at NewEgg. Lowest historic price was $12 on Nov 22, 2018 at Walmart. GameStop has pre-owned copies of Resident Evil 7 available for new low of $23.51 after using a coupon code. New units are available for $29.99. If you purchase above $25, you can use code SAVER to get free shipping. Great deal if you missed out on the PSN sale or previous pre-owned copy from Walmart. Resident Evil 7 on the PS4 and Xbox One matches its historic low today at NewEgg with a drop to $30 + $2 shipping. Last time we saw it at this price was exactly a month ago. Resident Evil 7 on PS4 and Xbox One is on sale again at Newegg for only $30 after coupon code. If you have Newegg premier or ShopRunner, shipping will be free, otherwise it'll be $1.99. This offer is valid for today only. Today after coupon Resident Evil 7 on the Xbox One and PS4 is down to $35 at NewEgg. Historic low by $3 for the January 24 release. Offer is good through tomorrow. Missed the $40 RE7 deal at Amazon from earlier this month? Your second chance is at GameStop with free shipping after using code SAVER during checkout. The average price for this game in the past 6 months is $15.24. The game first became 50% off on Jun 14, 2017 at NewEgg. Lowest historic price was $12 on Nov 22, 2018 at Walmart. Resident Evil 7 on the Xbox One getting a $20 discount and $14.99 off coupon code at NewEgg. New historic low price. Almost as cheap as you would have ever found a PC Download code for. Xbox Live Gold Members get a discount to $38.99 on Resident Evil 7. Only a buck off its historic low of $38. The average price for this game in the past 6 months is $19.99. The game first became 50% off on Jun 20, 2018 at GameStop. Lowest historic price was $19.99 on Nov 19, 2018 at Best Buy. The average price for this game in the past 6 months is $15.00. The game first became 50% off on Nov 12, 2017 at GameStop. Lowest historic price was $15 on Dec 31, 2018 at Microsoft. New historic low price on Resident Evil 7 digital download Xbox One copy thanks to GameStop's Spring Sale. We usually see the physical copy on tap for around $30, so the extra 25% discount for the digital copy is a worthwhile saving. Deal expires tonight. The average price for this game in the past 6 months is $15.48. The game first became 50% off on Jul 18, 2018 at Green Man Gaming. Lowest historic price was $14.25 on Dec 18, 2018 at Green Man Gaming. The average price for this game in the past 6 months is $22.49. The game first became 50% off on Feb 25, 2018 at GameStop. Lowest historic price was $19.99 on Jun 28, 2018 at Best Buy. Resident Evil 7 Biohazard Gold Edition on PS4 and Xbox One dropped to $20 via Best Buy's eBay page. This edition is packaged with the full base game and all of the add-on content, which includes both Banned Footage DLC add-ons and the End of Zoe campaign. New historic low price.